The Social Support Act (WMO- Wet Maatschappelijke Ondersteuning) helps people live independently as long as possible. The government’s goal is let all citizens, young or old, irrespective of social or economic status, regardless of limitations, to participate in society. Municipalities carry out the WMO. They have significant policy freedom when shaping the implementation; it therefore varies per municipality. Many municipalities organise the actual adjustments and provisions themselves, others organise a budget and leave it up to the residents themselves to approach a contractor. Ask your municipality about the possibilities for you. You will find the national website, which contains general public information, at www.zorgwijzer.nl. This website briefly describes the intention of the new law and what it could mean for you personally. Comfortable, safe and enjoyable living is a basic need for all of us. Usually we want to live in our own familiar home and surroundings as long as possible. But sometimes circumstances are such that we need to change our home in order to make this possible. Klusbedrijf Plantinga has the skills and the tools to realise your housing needs. Klusbedrijf Plantinga has a very wide range of assistance and adjustment tools and resources, ranging from standard to luxury designer goods. Click on the Brands page on Cymeq or Q-netics and explore your possibilities. You can also call us for advice. A personal visit is of course also possible. 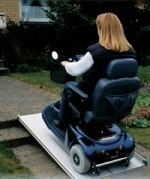 Are you experiencing mobility issues or do you rely on the use of a walker, wheelchair or scooter? Then you know that every irregularity is an insurmountable obstacle. 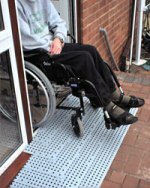 Adapting the pavement outside is often the cheapest and most desirable solution, but not always possible. 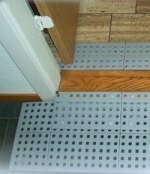 For this and for accessibility problems indoors, Klusbedrijf Plantinga has a number of attractive and practical solutions for virtually any obstacle. Wish to go out for a day or planning a vacation, but dreading the (literal) barriers? 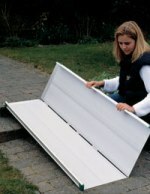 We offer many portable solutions. Click on the Brands page on Cymeq and explore the possibilities.